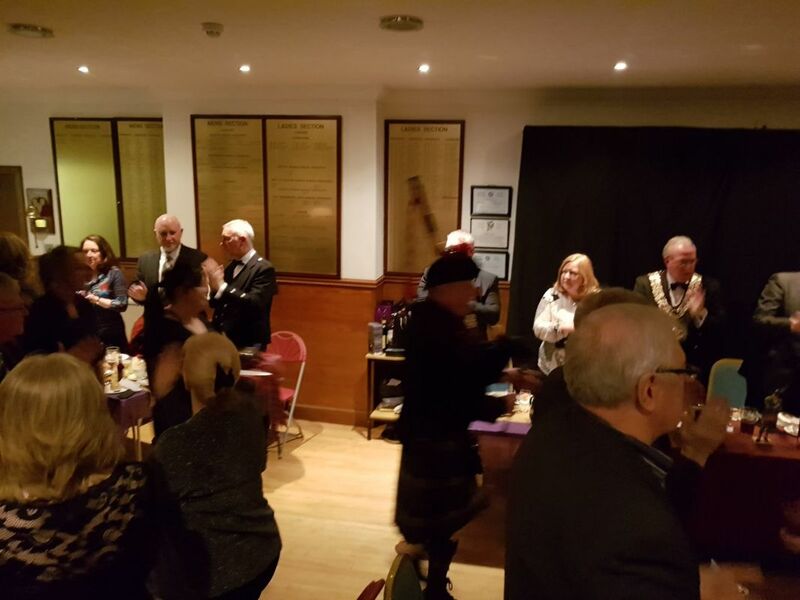 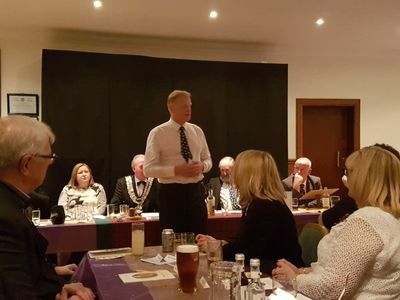 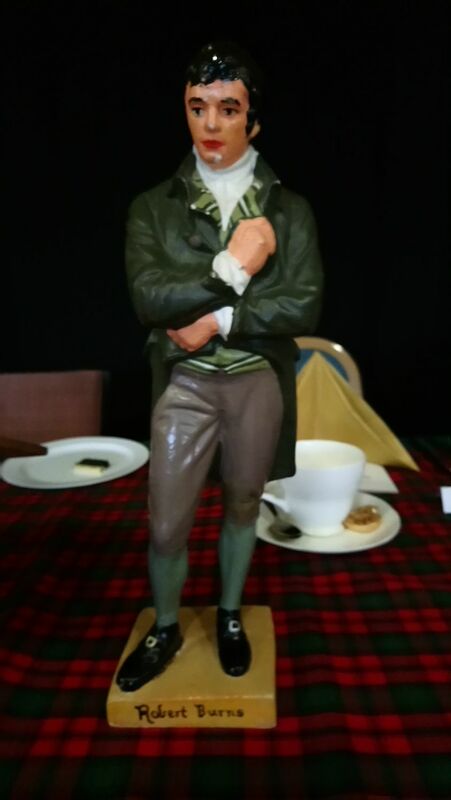 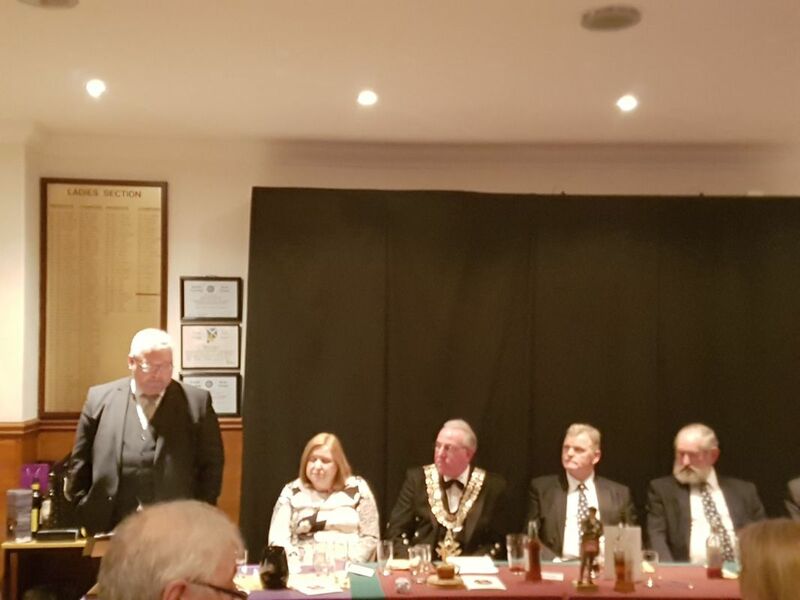 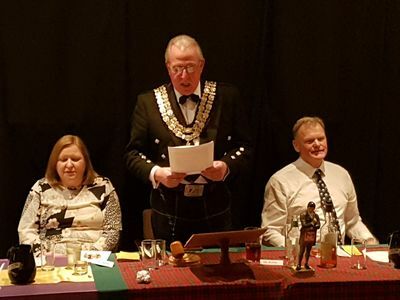 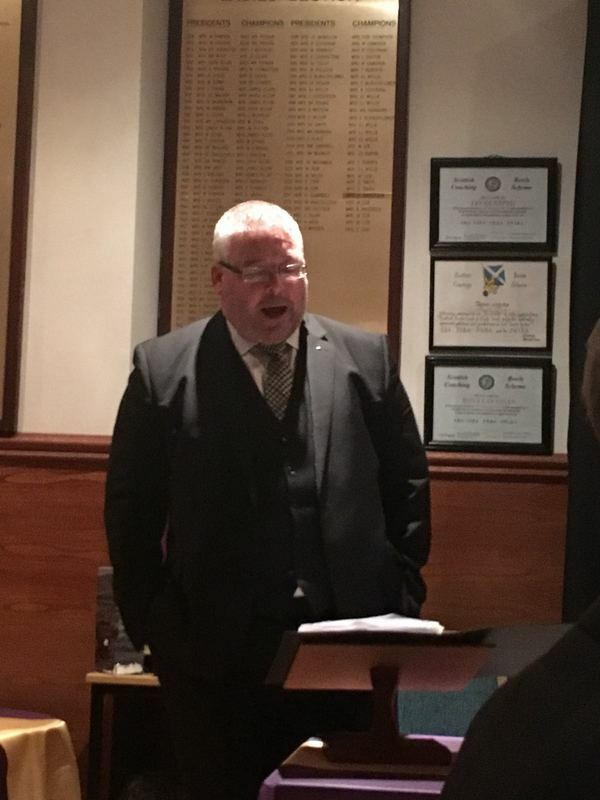 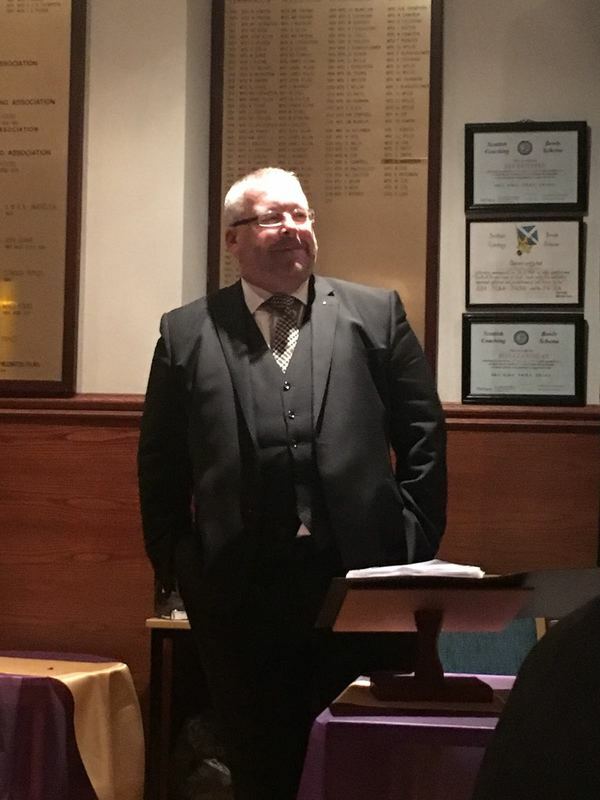 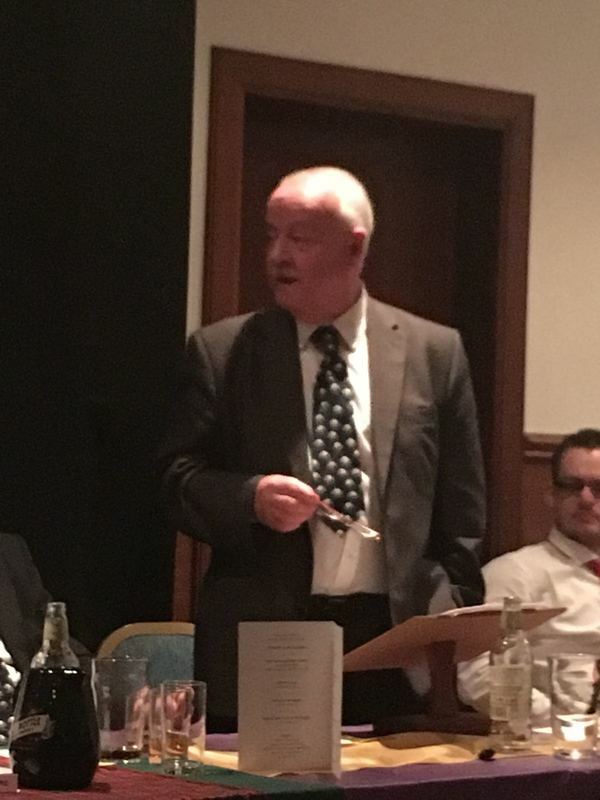 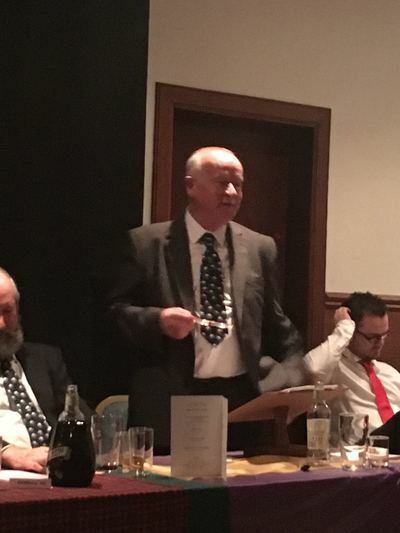 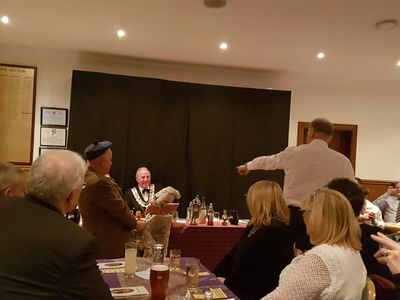 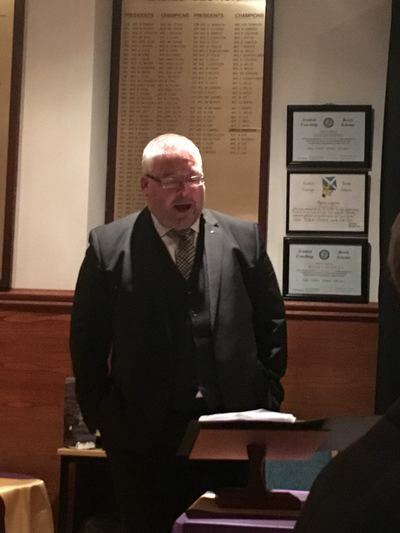 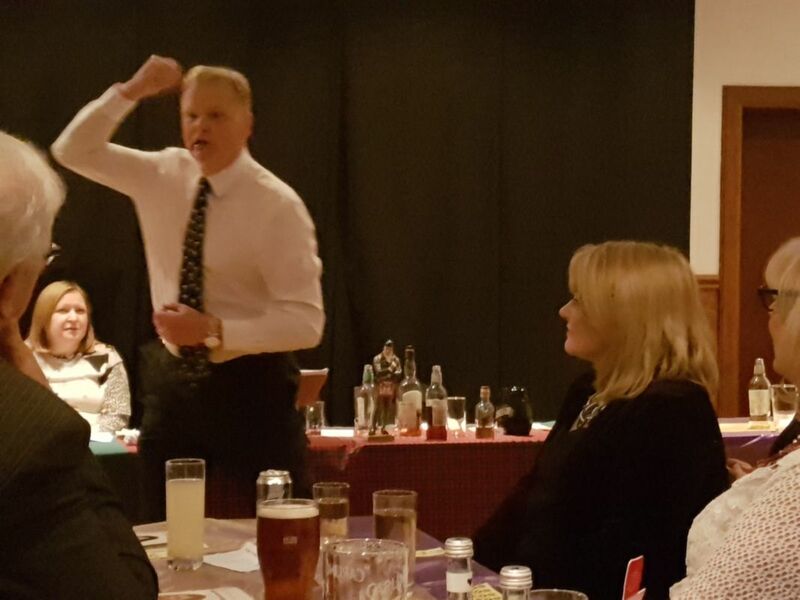 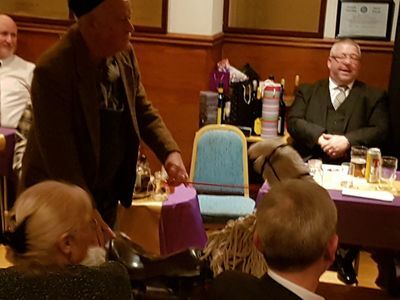 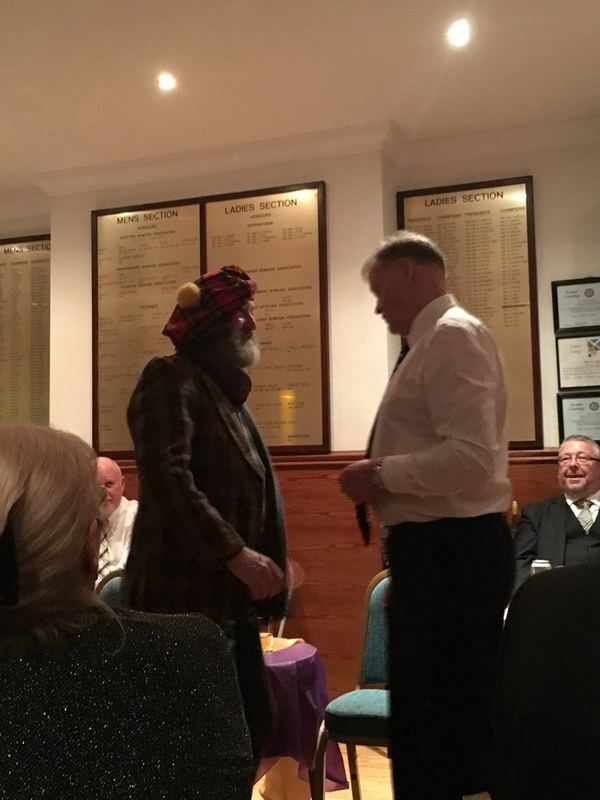 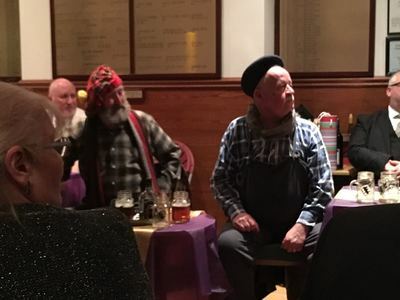 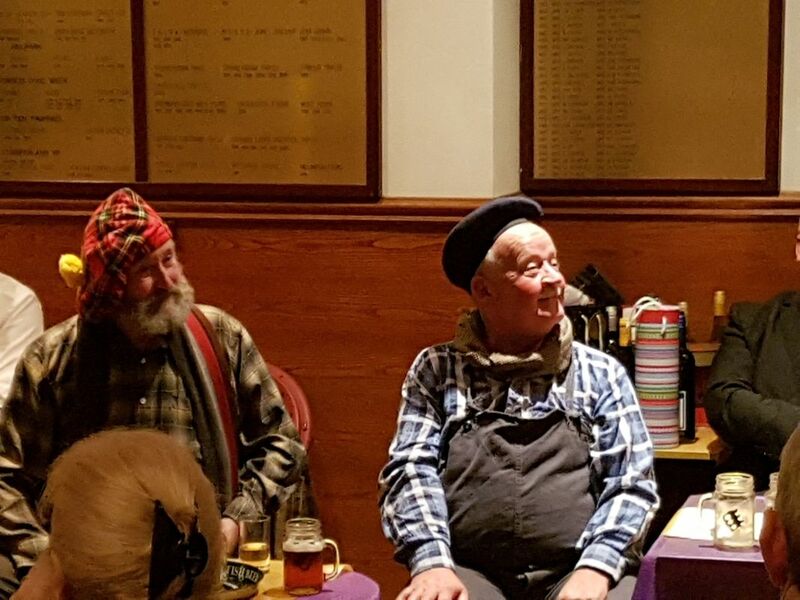 On Saturday 3rd February 112 brethren and guests attended the annual Lodge Burns Supper at Giffnock Bowling Club. 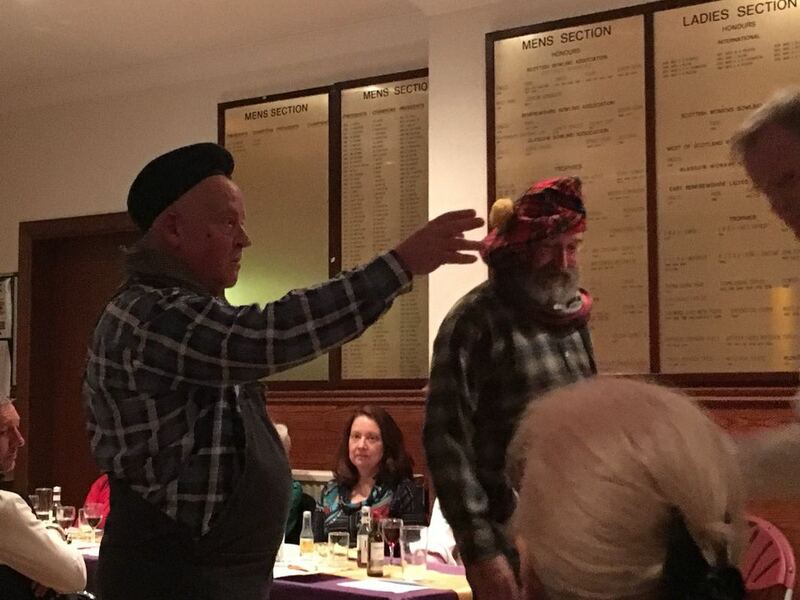 It was a excellent evening with an great meal, good crowd and fabulous entertainment provided by the Galston Cronies. 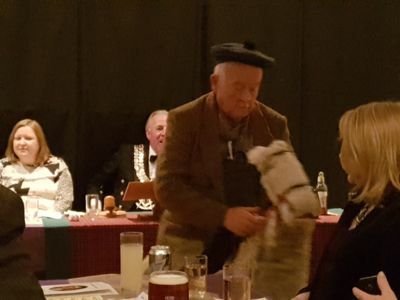 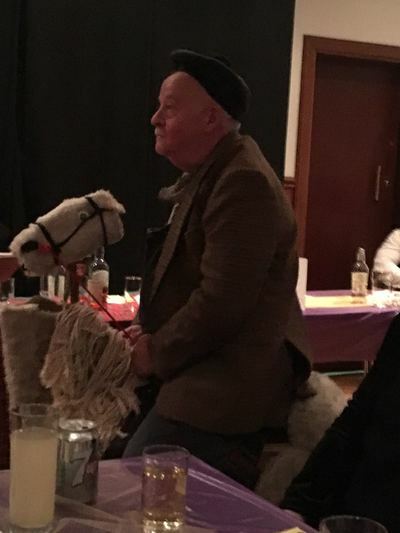 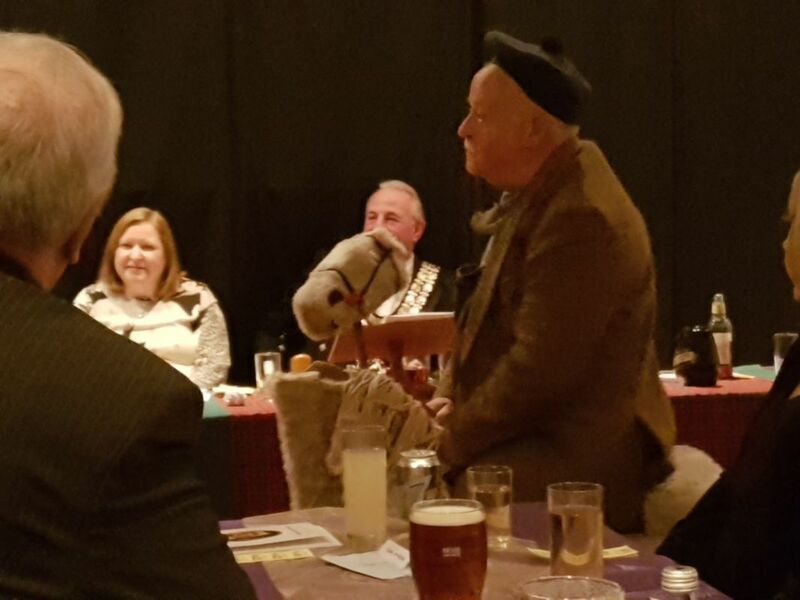 The Immortal Memory was delivered by Andy Carnachan, the Toast to the Lassies by Ian Adams, fabulous readings of Willie Wastle by Joe Fitzgerald and a special version of Tam o' Shanter by Joe Fitzgerald, Neil Mitchell and Ian Adams. 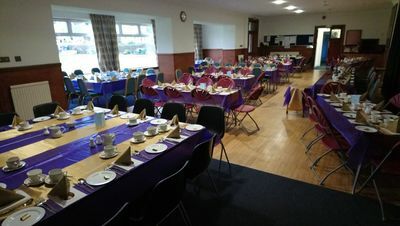 You will see what I mean from the pictures. 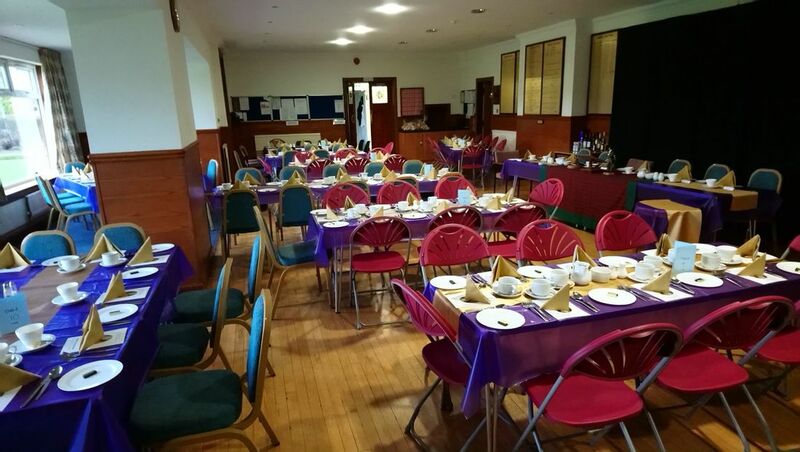 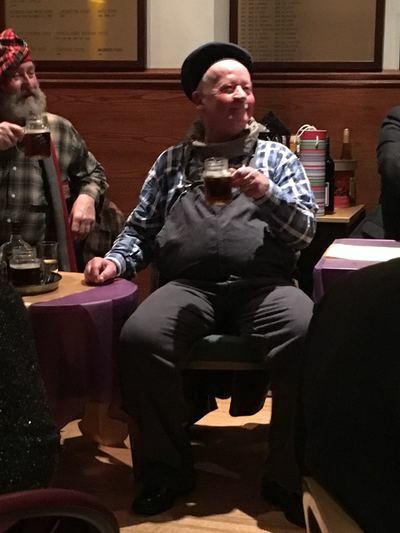 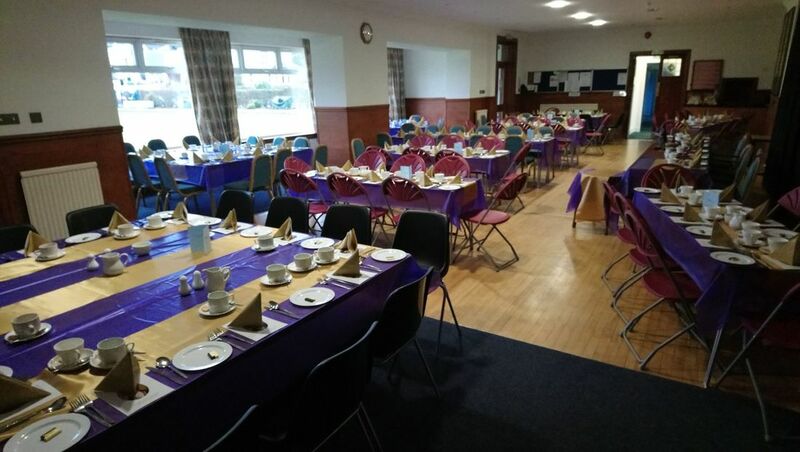 The night was a great success due to the assistance of the bar staff and caterers and particularly to those brethren who assisted in setting up the hall and also clearing up at the end of a long night. 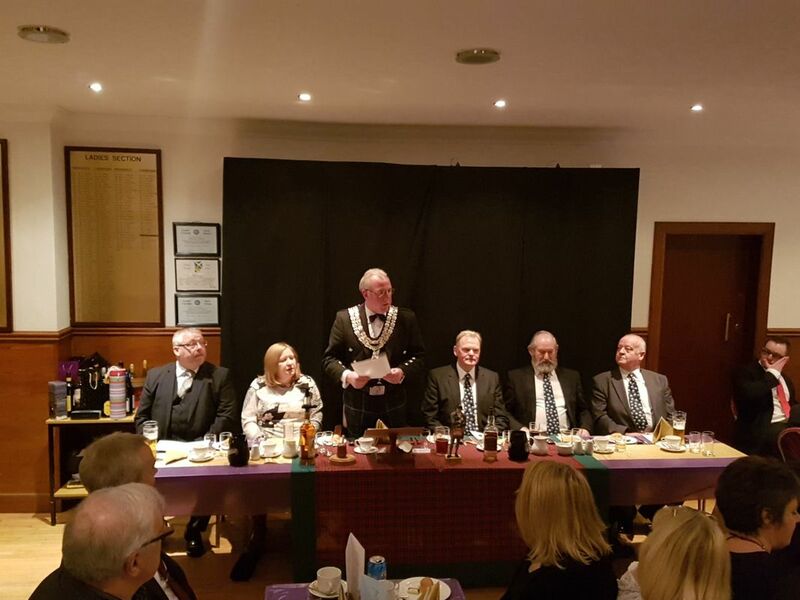 I am greatly indebted to these brethren for their assistance with this.